Get in your best ever race-shape for a 10/40/5km duathlon. 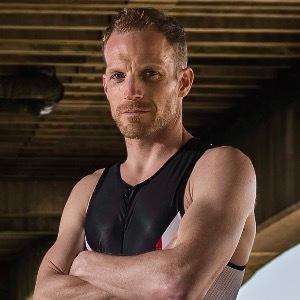 "I just thought I'd let you know that using your schedule, I managed to qualify for the World Duathlon Champs in Canada in Aug. To say I was pleased would be an understatement!" Robert Wickham, May 2017. "I used your standard duathlon training plan and found it immensely helpful. Thanks to the plan and countless answers to my questions I was able to qualify for my 1st Worlds! I cannot thank you enough for everything you did for me" Patrick Keys, April 2018. This plan is designed to get you in peak shape for your priority "A" Standard Duathlon, although you can include other events too. There are 6 to 9 workouts per week, a strength session and a day off. The 5th week is active recovery. There are brick workouts and a race taper phase. To be successful with this plan you should have at least 12-months experience of frequent duathlon training. Guidance is provided for Heart Rate, Feel, Power or Pace. Speed workouts will develop your power, economy and skill. Over time, they will prepare your body for the demands of pedalling harder and faster. 3 x (12 min efforts in upper Z3 to low Z4 with 3 min recoveries in Z2).